Around the world Santa Claus has many names. 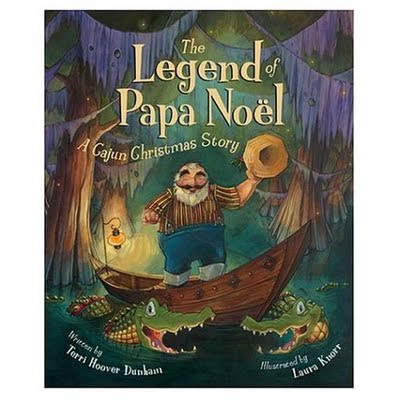 But in a deep, swampy bayou of Louisiana, he's known as Papa Noel. In such a hot and humid place, there can be no sleds or reindeer, so Papa Noel rides the river in a boat that's pulled by eight alligators with a snowy white one named Nicollette in the lead. On this particular Christmas Eve, it's so foggy on the river that even Nicollette's magical glowing green eyes may not be enough to guide Papa Noel. The alligators are tired, grumpy and bruised from banging into cypress trees, and Papa is desperate to get all the gifts to the little children. Well, "quicker than a snake shimmies down the river," the clever Cajun people come up with a solution that saves the day. A colorfully inventive Christmas tale, Papa Noel is a lesson in fast thinking, as well as a witty introduction to a part of America that's rich in folklore and legend. give one of these great hardcover books away! +1 if this is an international giveaway, please count me in! How cute, I am in! 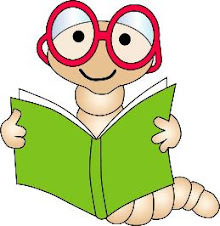 We would love to add this to our books! I will put up a link for this fun book on my Facebook also! This giveaway sounds delightful. I'd love to read about the "Cajun" Christmas and share it with my nephew. I would love to read this book. Can't wait! I would love this for my boys. This sounds like a great addition to our Christmas library:) Thanks! I would love to have such a cute book! I twittered about this delightful giveaway. PS - I also shared insights on Facebook! How awesome! I just went to New Orleans this year for the first time too! My daughter loves Christmas stories. This looks like a wonderful book. What a great story idea! A fun alternative to the Santa and reindeer story. I'm sure all children would love to have it. Looks like a wonderful Christmas book. Thanks for hosting the giveaway. Please count me in! I follow your blog. I would love to win this for my granddaughter! 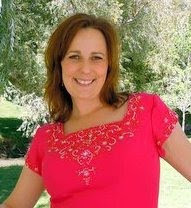 I have just been blog hopping and found your blog (now following!). What a lovely site and this book is so beautiful. I have a friend who is a new teacher, who would just love this for his class. If this giveaway is international, sign me up. I adore Christmas and Christmas books. Count me in please! this looks like a great kids book for the coming holiday season! What a fun book- I am sure my kindergarten students would love to read this story. What a great giveaway. I follow and have your button on my blog. My kids and I would enjoy this one! +1 I am now following you! +1 I blogged about you! +1 I Love your site!! I am a book whore, so I'll be checking you out often. Keep up the great work! I would totally love to have this book! I follow your blog and i tweeted about the giveaway. This looks like such a cute book! Thanks so much for the giveaway. This looks so cute,I know lotsa little kids who would like it. It is extremely interesting for me to read that blog. Thank author for it. I like such topics and everything connected to them. I definitely want to read a bit more soon. +1 I would love to win this for my grandchildren! Please enter me. We just love Christmas stories. Looks like a lovely, unique book - and we need to add to our Christmas collection! I think this is a great giveaway. I would love to win this truly beautiful book.